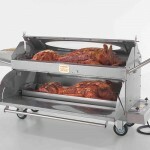 Searching for the ideal hog roaster for your catering company? 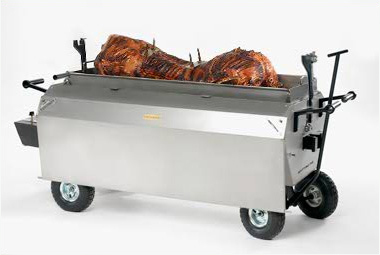 Buy a hog roast machine from us and your guests will soon be enjoying the succulent delights of roast pork and other delicious meat cuts, including chicken, lamb and beef. 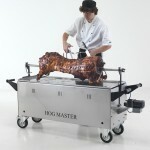 Our hog roasting machines can even be used to roast vegetarian delicacies. Take the hard work out of preparing hearty dishes for your event. 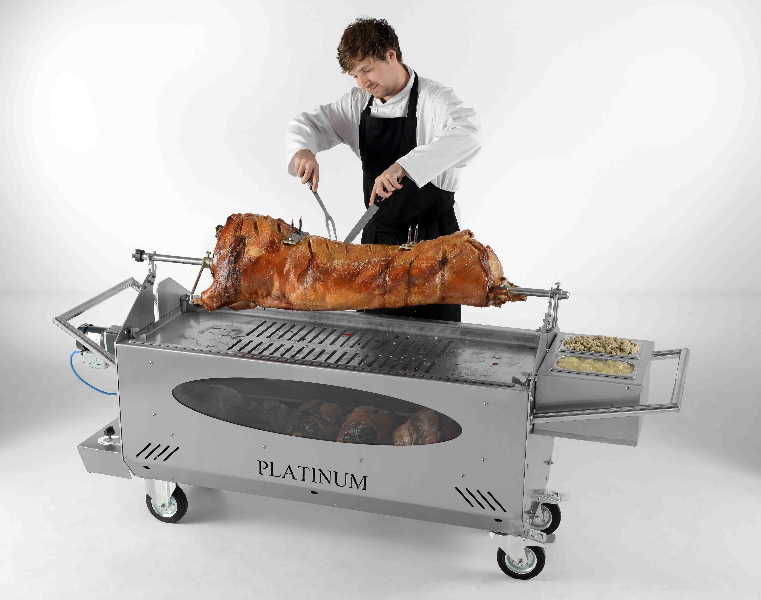 When it comes to a hog roasting machine with a brilliant reputation, our Platinum range has an exceptional reputation in the catering field. 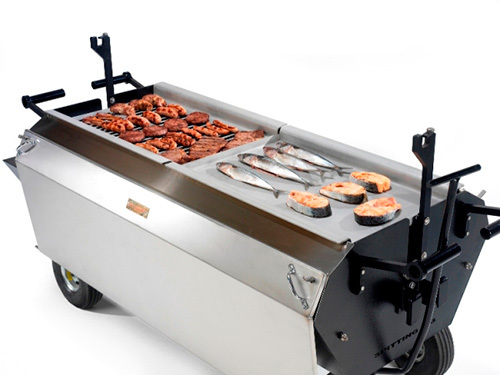 As well as state of the art cooking capabilities our machines have heavy duty wheels for ease of mobility at many an outdoor event. The aesthetics are wonderful too, designed with a professional finish in mind, expect a slick stainless steel exterior that is easy to keep clean and look the part in any event setting. We know that the way a hog roast is presented is all part of the experience, that’s why our spit roasting kit is also so popular! 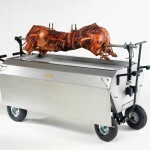 When you buy a hog roast machine from us, you are buying into decades of hog roasting history in the catering industry. We have produced our machines to push boundaries and ensure an excellent product time and time again. We have an array of clients who trust our equipment, from local chefs to large hoteliers. 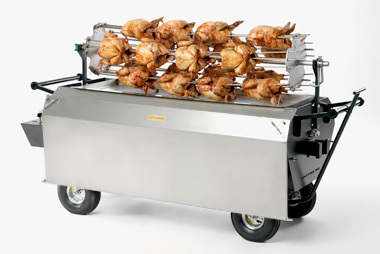 Alongside our machinery we offer a range of supplementary products to enhance your catering set-up, such as our Chicken spit roast and BBQ sets. As well as instructional DVDs (for those new to hog roasting) and outdoor rain covers. Our machines each come with warranty for 12 months too. Which means you can trust your machine to provide outstanding results with no hassle. 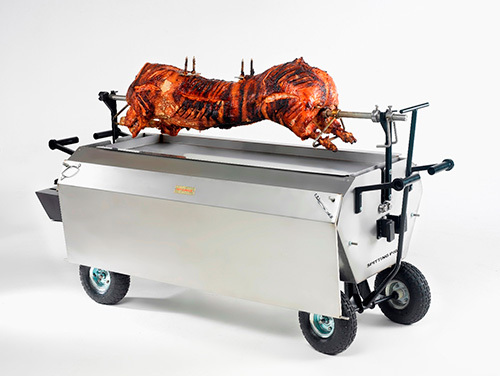 We also offer free servicing on site or at our factory and we’re always on hand to help with any queries you have regarding your hog roast machine. Not sure whether you’re ready to commit to purchase? 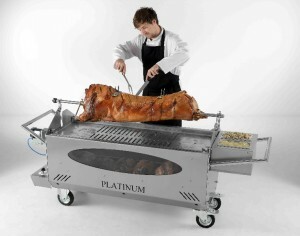 We hire out hog roasting equipment too, so you can test run our machines before you invest. Get in touch to find out more. Copyright © 2019 Buy A Hog Roast Machine . All Rights Reserved.